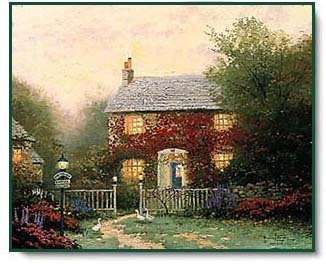 We offer four different Framing Options for your Thomas Kinkade prints. "The English Pye Corner Cottage is a place where neighbors and travellers meet and friendships are built. And once you've visited Pye Corner Cottage, like the geese in the yard, you will be drawn home for the evening again and again." 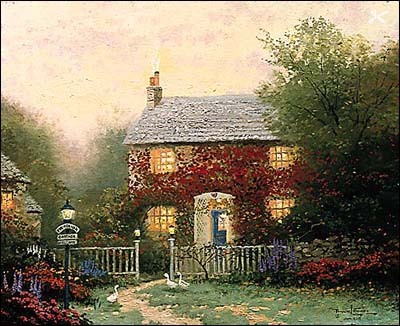 Pye Corner Cottage copyright © 1991 by Thomas Kinkade.